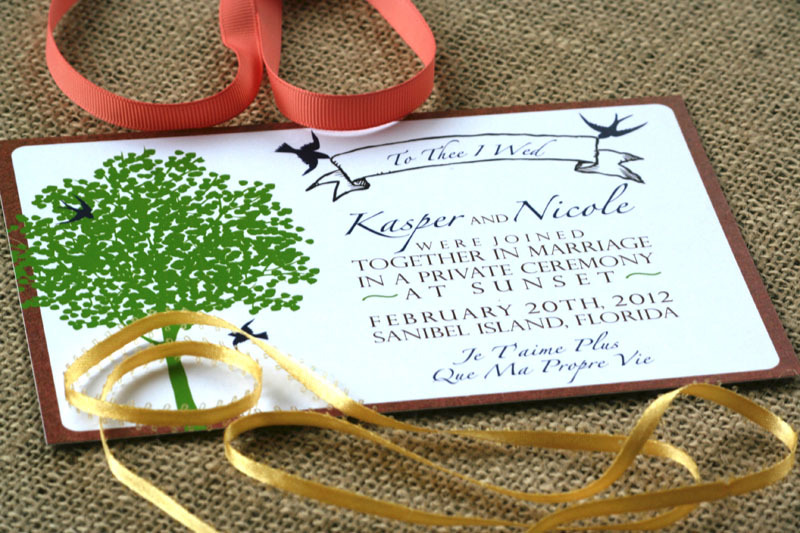 Congratulations to Kasper and Nicole Kolbe who recently got married in Florida! I designed their beautiful postcard save the date card to announce their upcoming parties in the summer celebrating their marriage. This modern design features a rustic tree and beautiful birds flying above. Check it out. 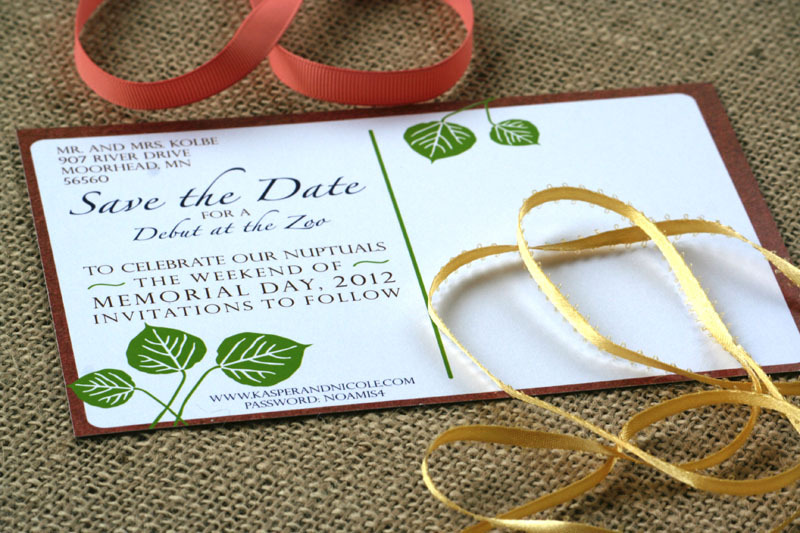 See similar designs in the Sofia Invitations Etsy Shop.